This is a work of fiction. Names, characters, businesses, places, events and incidents are either the products of the author’s imagination or used in a fictitious manner. Any resemblance to actual persons, living or dead, or actual events is purely coincidental. In some cases, I may have changed some identifying characteristics and details such as physical properties, occupations and location of the refrigerators. So Hope makes the bed, gets the kids off to school and heads into the office. Traffic is pretty bad today, and Hope is wondering if her delicious salad will stay cold enough to make it to the office. Given that she is in New England in January, really nothing to worry about, but hey with a salad like that, who needs the risk. She parks the car, gets the salad and begins her 1/4 mile walk to the office. She takes her briefcase and her salad out of the back seat, closes and locks the door and heads for the elevator. Once she enters the office, Hope heads straight for the refrigerators where many other employees keep their respective delicious lunches and other items, such as beer, actually mostly beer. Now, if you have ever waited for your luggage at the airport, you know that many pieces of luggage look just like yours. I have picked up the wrong bag many times, just to put it back on the carousel. When you travel, you learn to put something distinguishing on your bag so that you can tell it apart from all other look a likes. This phenomenon has not yet happened with lunch bags, glass bowls or brown paper bags, so sometimes it is difficult to know if you have the right lunch. 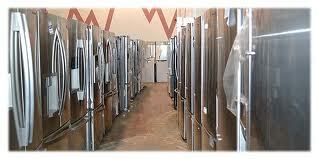 And of course, all of the refrigerators look the same as well. Hope had a decent morning, the usual ups and downs. Internal meetings, client calls, some whining, some complaining but overall not bad. She is cranking out a few e-mails, hears her stomach rumbling a bit, checks her computer and alas, it is 12:00PM, or in this case, yummy salad time. Hope walks over to the refrigerator to find her salad but she cannot find it. She says to herself, “Hey, where is my salad?” She looks in the other refrigerators as well (maybe I put it in a different place than I do everyday), but alas to no avail. 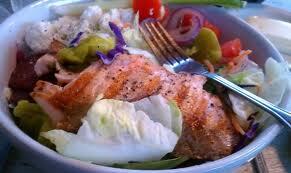 That delicious, yummy, sockeye salmon salad is missing. Panic ensues…..
10 minutes earlier, Todd went over to that same refrigerator and took what he thought was his lunch. He was having a very busy day and needed to eat his lunch quickly. He walks over to the vending machine, pops some money in it and gets a nice cold bottle of water. Moving fast, he heads quickly back to his desk. He only has about 5 minutes to eat, so he is a bit rushed. He opens the container, peers down and is just delighted to see this delicious sockeye salmon salad in front of him. His wife packed his lunch today so he was unaware of the contents. What a pleasant surprise! This looks yummy. He takes the first bite, rolls his eyes a bit because it is so delicious and proceeds to finish this culinary delight. He pulls a sticky off the pad and writes – Buy wife flowers on way home. Subject Line – I Am Calling the Police! Yet another example of how you don’t win friends with salad.